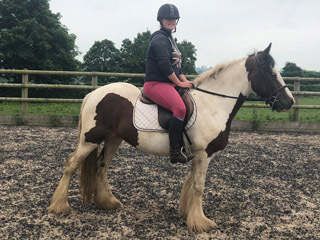 Here at Greenhill Equestrian we are a small friendly yard based in Ellesmere, near Wrexham/Oswestry, in the Shropshire countryside, we are in easy reaching distance from Midlands, North West etc..
We aim to put our horses though as many paces as possible to advertise them correctly. 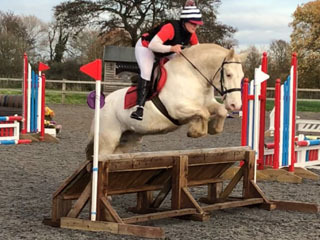 We cater for all levels of rider and match the right horse to you. It’s our job to find you your four legged best friend. 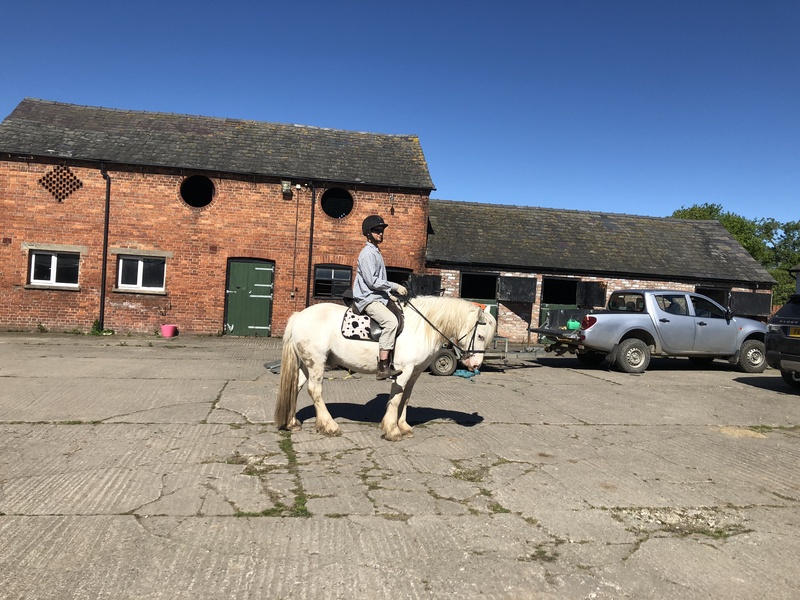 We have excellent trial facilities from our all-weather outdoor school to great country lane hacking, open fields and not far from the main road . 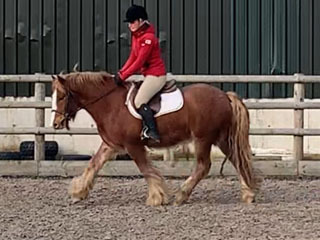 In the school, Edward has 3 established paces in walk trot and canter, he is not a forward going ride and is more leg on than off. 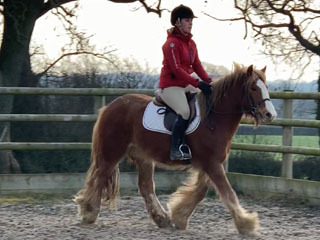 He is no super Dressage Diva to go to the top, but neither are most of us, he will do a nice little test for the none competitive. Hacking – Will hack alone or in company and go first or last. 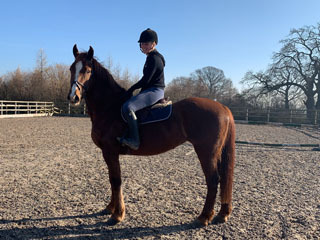 He is not a plod along you can ride buckle end, he is a big horse. he will look if something surprises him. Edward has hacked all the roads and lanes here passing different types of traffic and going passed the local primary school. 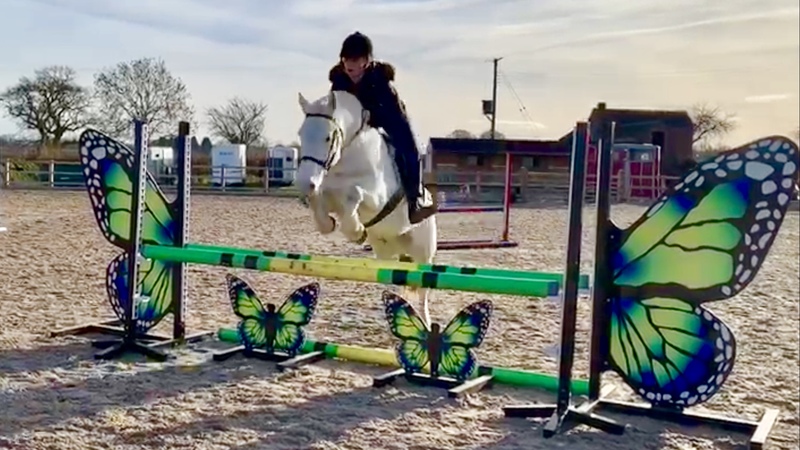 Jumping – this is not an area Edward excels in, he would jump a course of 60cm but it is not an area we believe he could really improve. He is what he is. History – We were sold Edward by a lady who is moving to Australia. 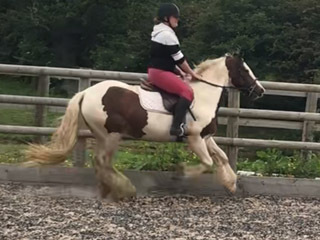 We were told she had Edward for a couple of years, he was mainly used as a pleasure horse and did some low level Dressage and jumping (into A) We were told she bought him of a lady who used him for hunting (we have some photos to prove this) however we have not hunted him but apparently she became pregnant and sold him to the lady we bought him from. 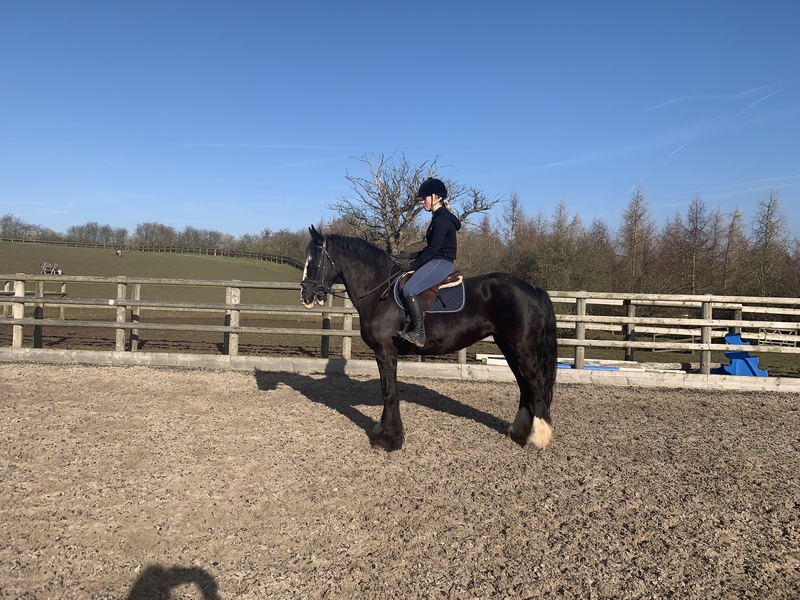 Since we have had Edward his schooling had come on tremendously. We have discovered a vice that we are working on and is improving daily. Edward can be nervous to dismount. Now he is happy for you to sit on him all day chatting away and he stands as soon as gold, but for some reason he gets tense when its time to get off. However, this is improving every day and we will do videos to show this. 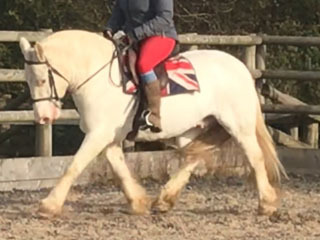 Edward would suit a home for low level riding club, hacking, fun rides etc. 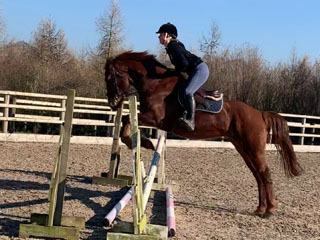 He is not for a complete novice due to needing a balanced rider to give him confidence when dismounting, he is gaining so much confidence with us we would hate to see this go. 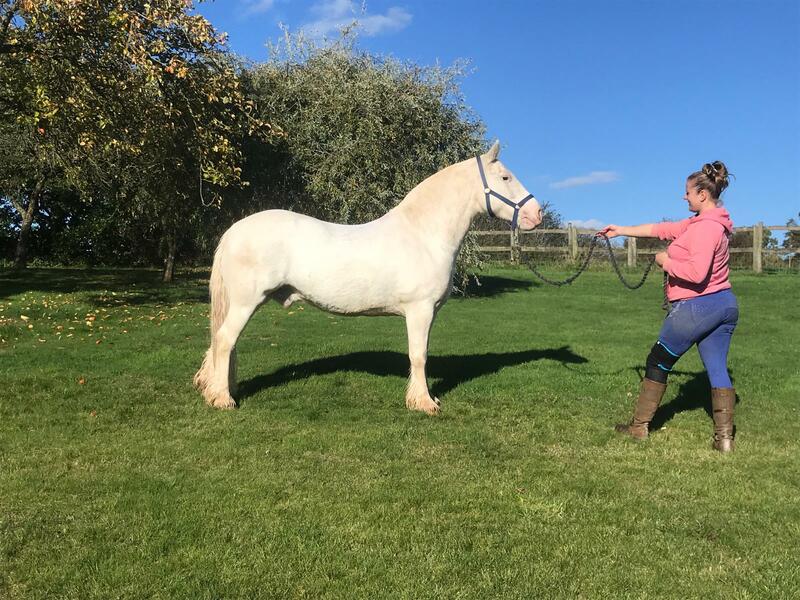 Manners, Edward is easy to handle on the ground, he is currently stabled, he is a pleasure to have on the yard. 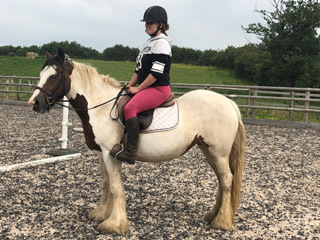 Up to date with vaccs, does not come with any tack or wardrobe but saddle can be fitted at new owner’s request. Rhino is a late starter and has been back here at Greenhill so all ridden history is known. He has come from a very loving home that due to personal circumstances he was bring wasted. 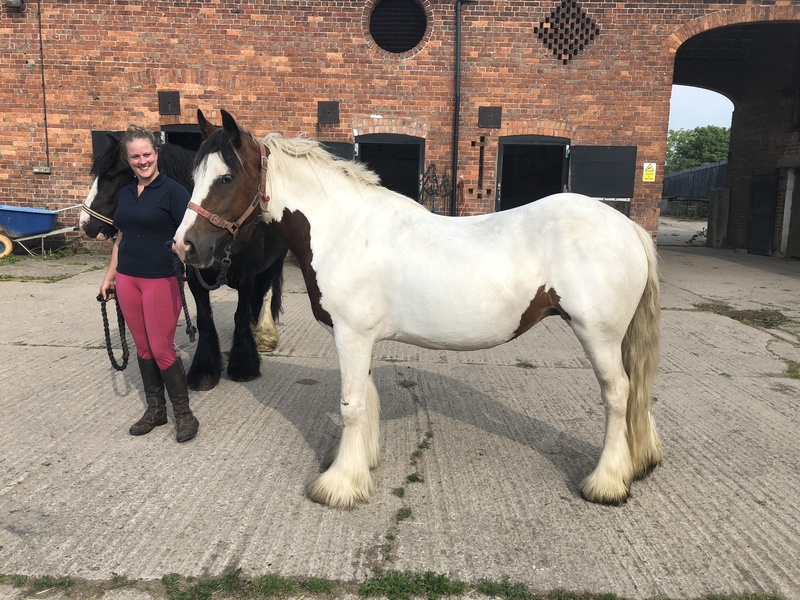 Rhino has a heart of gold, is good to handle, easy to catch, tack up, clip, good for farrier (currently bare foot) loads and travels well and is a pleasure to have on the yard. 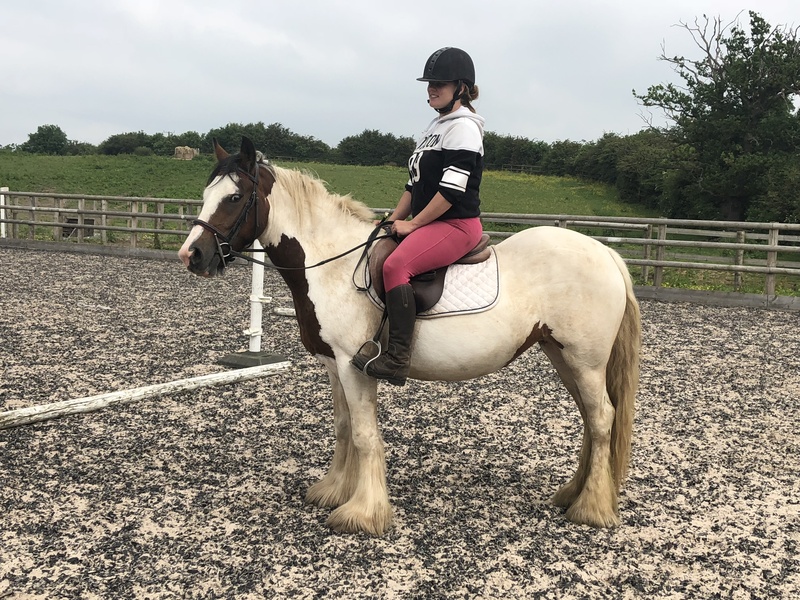 In the school Rhino can walk trot and canter, and gets better and better daily and is very genuine, He works in a natural outline in all 3 paces, He is a lovely stamp of a cob with a leg in each corner, we think he would make a nice show cob. 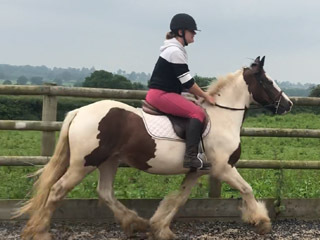 He is forward and fun, is responsive to leg aids and reacts well, he is a chunk of a chap so may be a little heavy for a novice rider or a child. 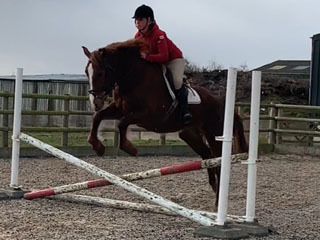 Rhino Really enjoys his jumping, He has been out and about and is a pleasure to handle, He is well mannered in the warm up and very genuine. 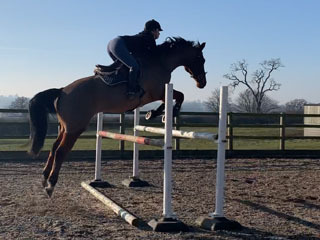 He has been jumping around courses of 70cm show jumps and arena evening and has jumped a course of 80cm so plenty in the tank. 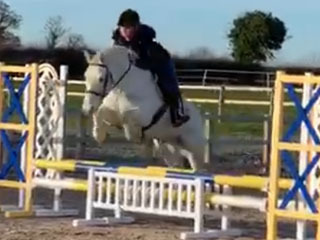 He makes a nice shape over a fence and is forward to a fence without being strong. He is easy to pull up or ride onto next fence. 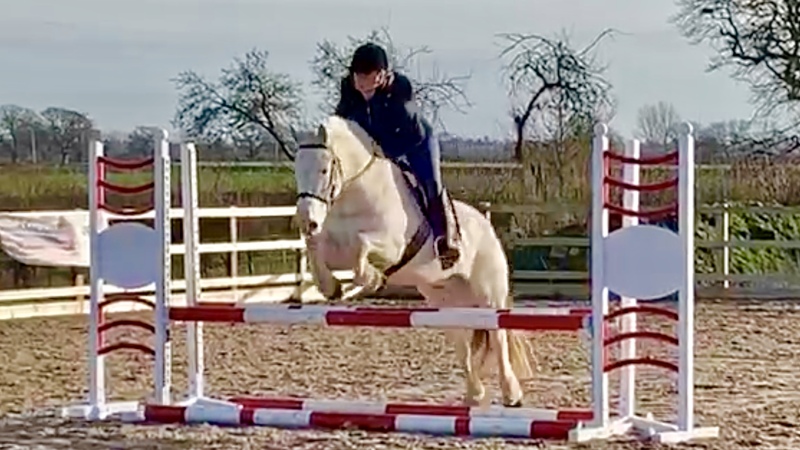 He is a super fun and genuine gelding. 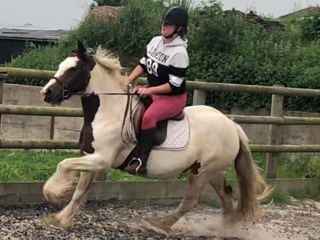 Rhino has done some Cross country training and really impressed us! 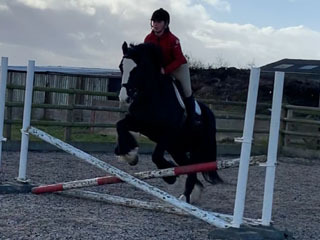 Jumped everything asked and proved bold and brave over some bigger fences, he wen stright into the water complex and jumped everything in front of him, from roll tops, ditches, logs, tyres etc. He really enjoys it. 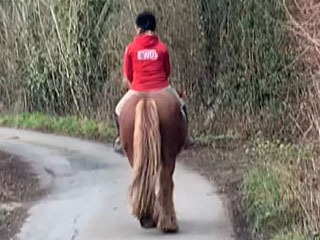 Hacking - Rhino hacks well in company and happily hacks arounds our country lanes passing all sorts of traffic. He does hack alone and is fab for us, he is very genuine but he is a baby who is always learning. Rhino has also hacked down the busy main road into town, he passes busses and lorries and was good to stand and wait or carry on going! he is fab! Rhino is good to catch and turn out, good ground manners. 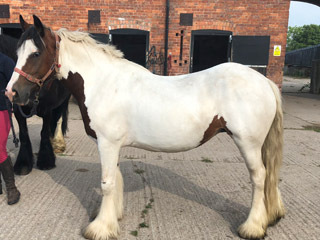 he can be lead by anyone and is not bolshy on the ground, he is good for the farrier and good to load and travel. He is currently bare foot and has good feet. This is a very genuine youngster, who is turning into an amazing allrounder. 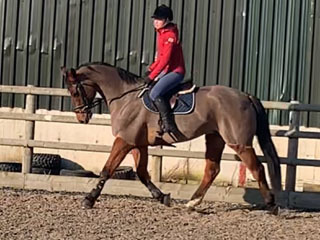 He is a lovely easy ride who just gets better and better with age and experience. A true superstar for the future! 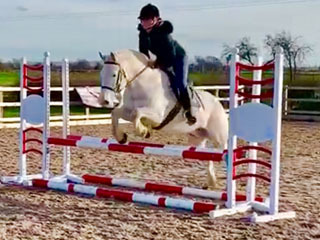 Tigga is a fabulous 16.2hh 12 yr old, Bay gelding by Pro Set. 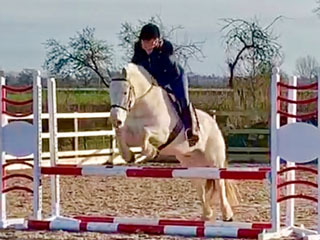 Tigga is well schooled with well-established flat work with flying changes and lateral work. 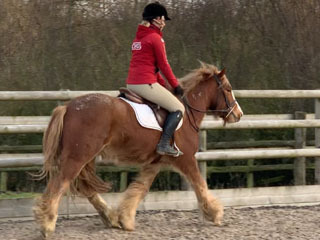 He is a nice easy ride, it not at all forward or sharp, he takes leg and is a pleasure to ride. 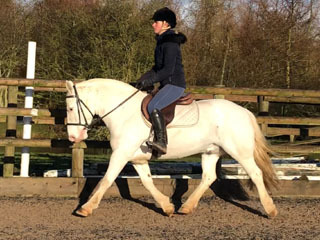 Has 3 elegant expressive paces and a careful jump . He is extremely trainable and could progress well if this was his main discipline. Has 225 BD points with +73% at medium. Tigga has evented up to 1*/int-Nov With 25 BE points and 131 FP. 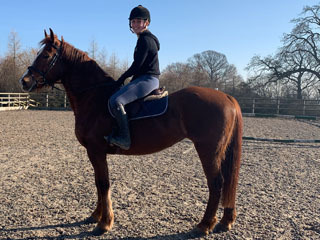 He has won and been placed many times however has been a pleasure horse for last year as that’s what old owner wanted however feels he would love to be doing more. 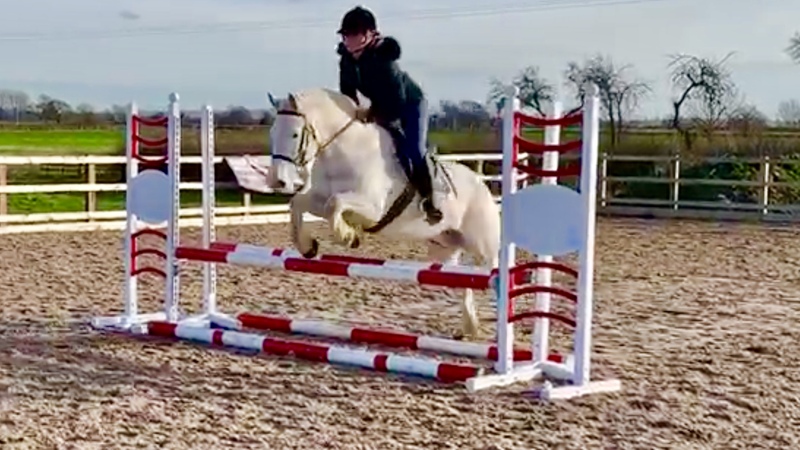 He is very careful Show jumping with many double clears, currently schooling around tracks of 1.25 at home. 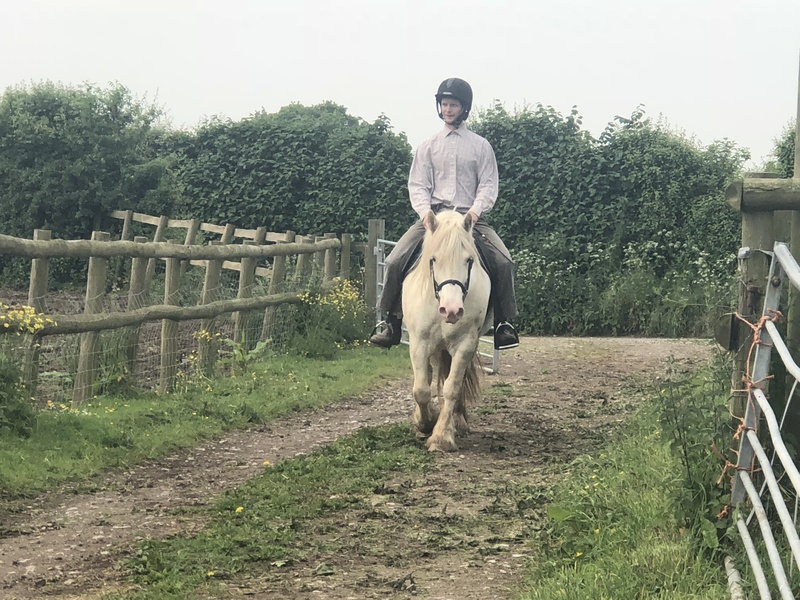 Hacking – Tigga hacks alone and in company and is happy to go first or last. He has hacked all our lanes here passing all traffic. He is a lovely ride no at all sharp or fizzy. 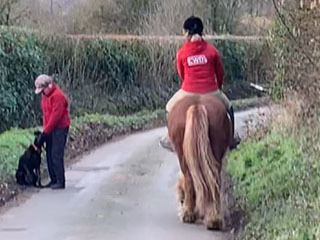 Manners – Tigga loads and travels well, is easy to catch, good for farrier and to clip. 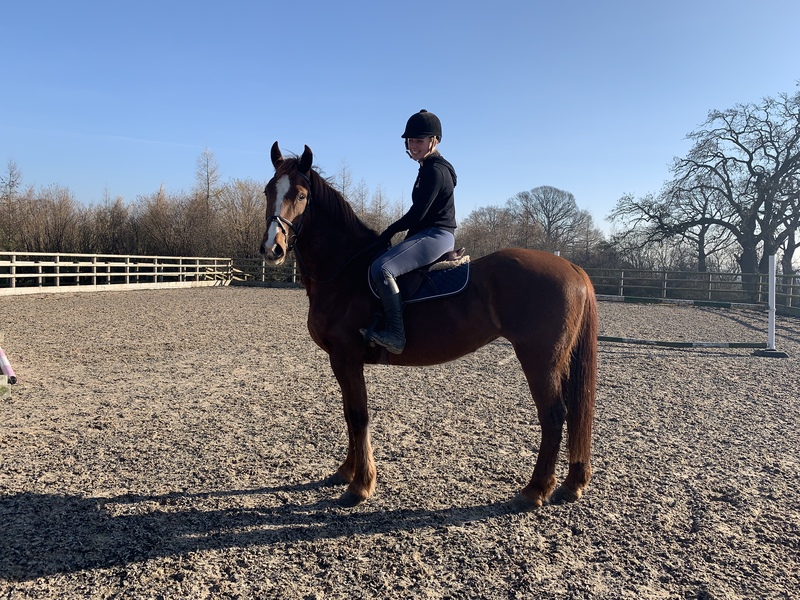 Tigga is ridden in a rubber snaffle and has been ridden here by an 11yr old competent novice, he would be a serious contender for children on horses / under 16s classes, perfect for child coming off ponies. 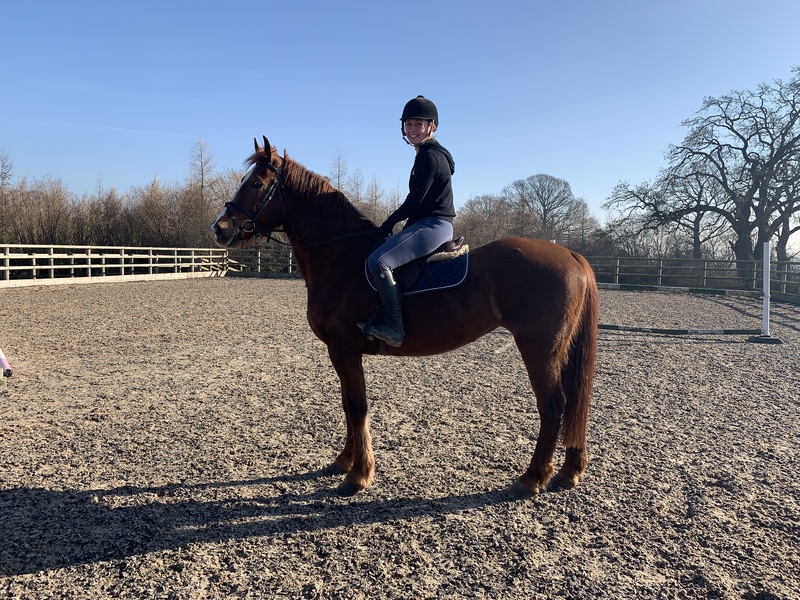 According to his old owner In 2016 Tigga had a Neurectomy on both his hindlegs following a strain to his suspensory ligaments, this is competition legal and does not cause any lose of feeling. In December 2017 Tigga passed a 5 stage vetting. Tigga’s old owner would dearly love to stay in contact with him once he finds his very lucky new home. Tigga is open to any vetting. 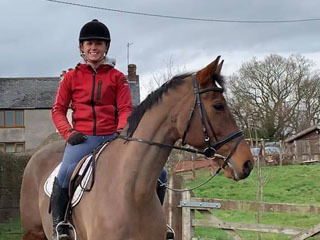 Charlotte is a very honest, genuine seller who will do her up most to ensure both horse and rider find the perfect partnership. She is knowledgeable and offers a very friendly service. Honest people in the horse industry is hard to come by! So would recommend highly ! Would def go back to greenhill equestrian in future . 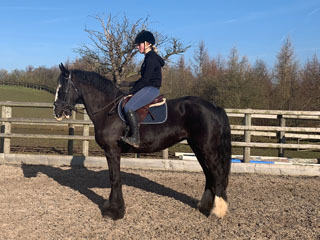 Everything I was told about blue is true and I have got a cracking horse. Very helpful people and it's great that they keep in touch with blues progress. 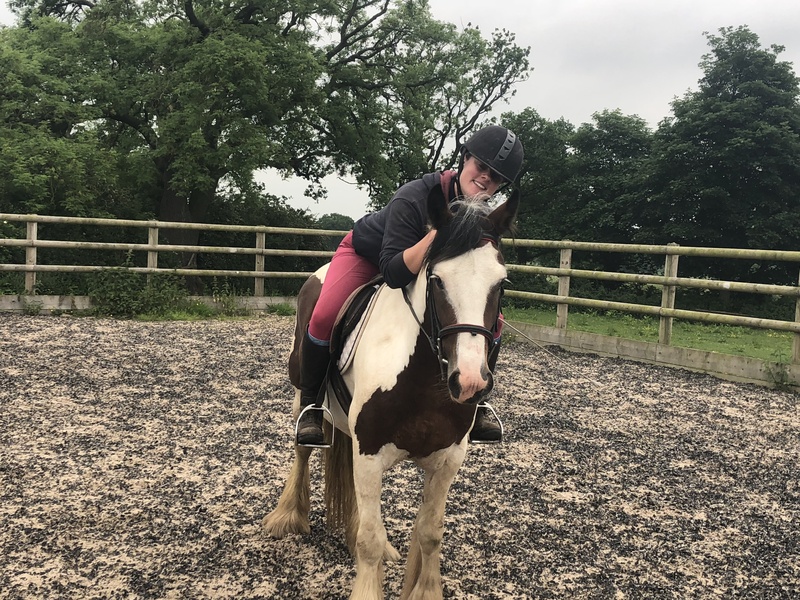 Greenhill is a wonderful place to work, I have had a brilliant time over the past year riding the horses, showing them to customers and taking them cross country. 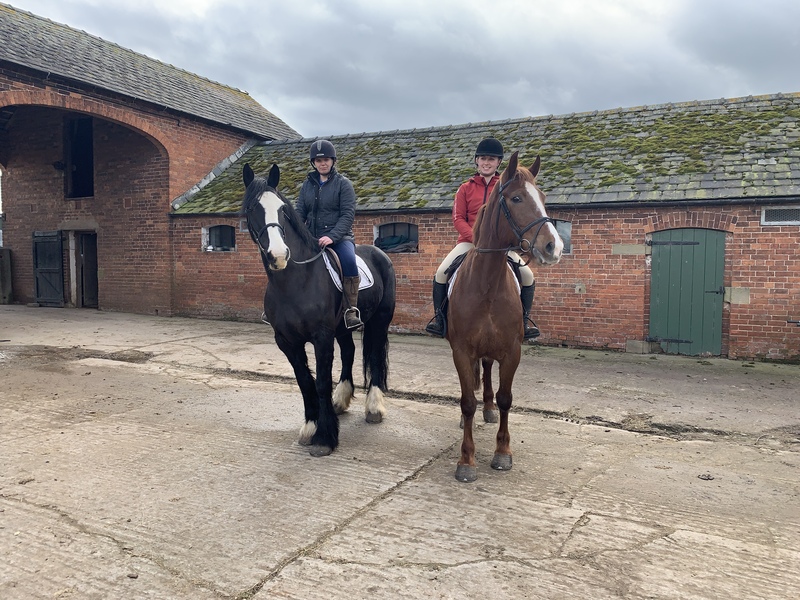 Some brilliant partnerships have been made between the horses and there new owners - ones that I am sure will last a life time. 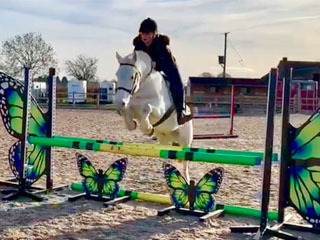 During my time at Greenhill I have ridden the safest of safe cobs right through to show jumpers, the diversity and choice of horse available from Greenhill makes it the perfect place to go, whether you have been looking for weeks or years. 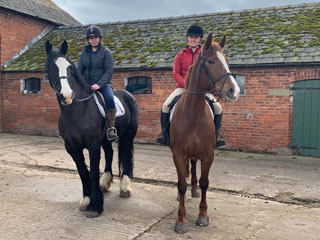 The girls that run the yard are helpful, informative and friendly making you feel relaxed and looked after (as it can be nerve racking trying a new horse!) Greenhill strives to make the perfect partnership however long it takes, what ever the requirements, from novice to advanced. My daughter and I bought 4 yr old ISH Holly from this fabulous friendly yard back in November. We live in Fife, Scotland and they were very patient with me, having 2 long phone calls with Charlotte to discuss every inch of her in detail to check if she was worth the 5 hour journey. 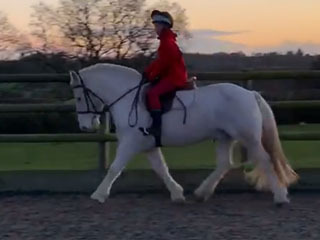 Their promotional videos show loads of useful actions that you would want to know like loading, cantering in open fields etc. On arrival, we found Charlotte to be honest, approachable and she answered every question, advised on decent vets for the vetting etc. Holly was exactly as described in the full and descriptive adverts. 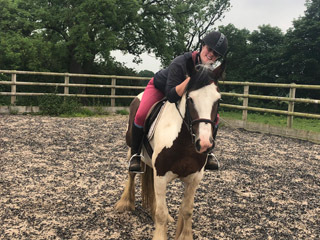 4 months on and Holly is now called Pippa and my 14 yr old daughter has just been out for her first Cross country outing today and Pippa was a total star! Reliable and no hidden surprises as indeed she has been since we got her. They take the time to get to know the horses before they advertise them so you really do get an accurate description. We are only at the beginning with her but looking forward to the years ahead, teaching her everything she needs to learn. Thank you for finding such a gem. 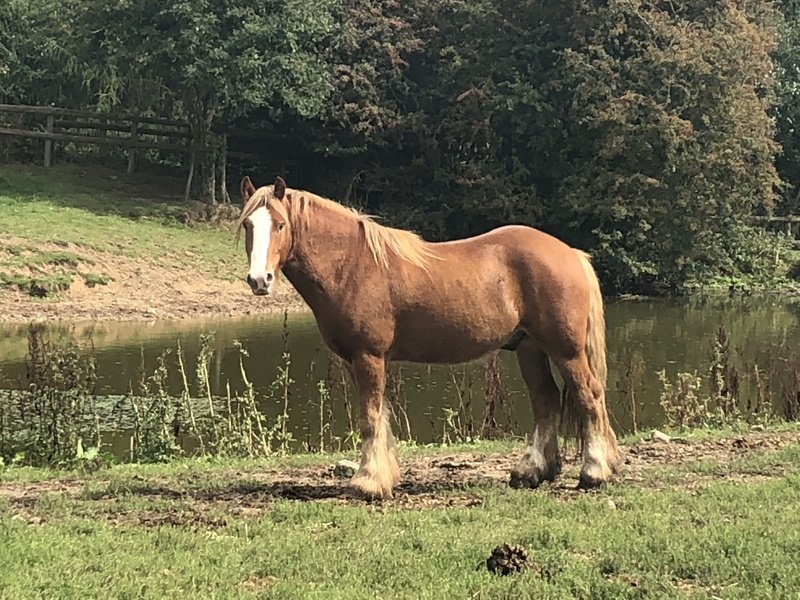 I would recommend anyone looking for a horse to check what this yard have first or let them know what you are looking for. 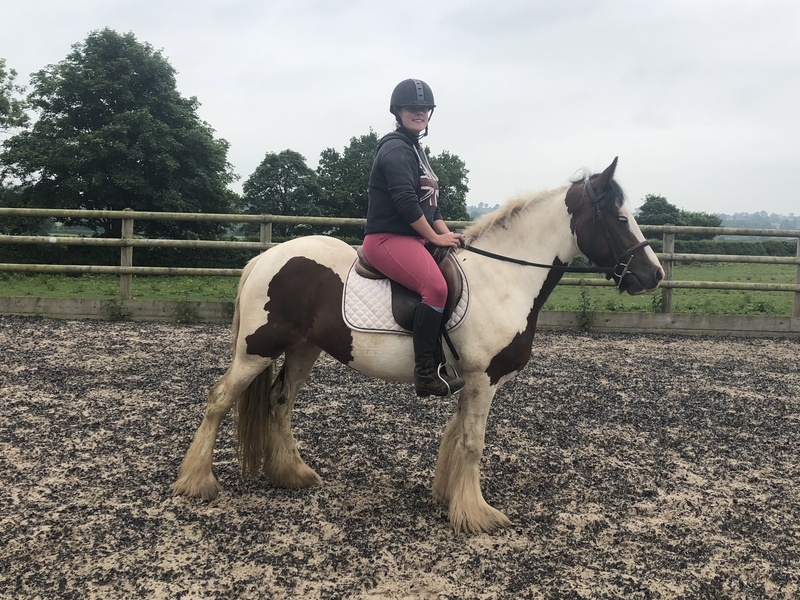 I have been to view a number of horses they have always been accurately described, well turned out and all the team have always been helpful in every way possible and I cannot recommend them enough. Fantastic service, really friendly no hard sell or pressure just quality horses that sell themselves. Had Jack a year now and I'm delighted with him. Would recommend to anyone. 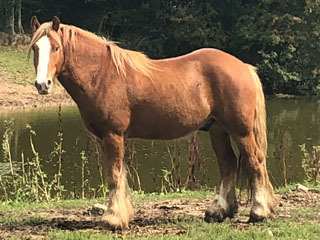 Brought our 1st pony from Charlotte, very helpful & honest lady & horses as described.